This panel conversation will gather prominent African-American showrunners, creators, and executive producers to discuss the current state of the industry. How difficult is it for African-American writers/producers to break into and advance in television? What are the root causes of this dynamic? 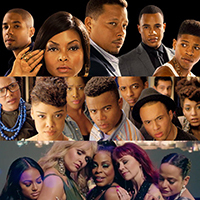 What added responsibilities, if any, do African-American showrunners feel to take on race-related social, political, and cultural issues? What pushback do they receive from networks when they want to? These and other relevant themes will be discussed during this dynamic conversation event. Illustrated with clips from the Paley Archive.